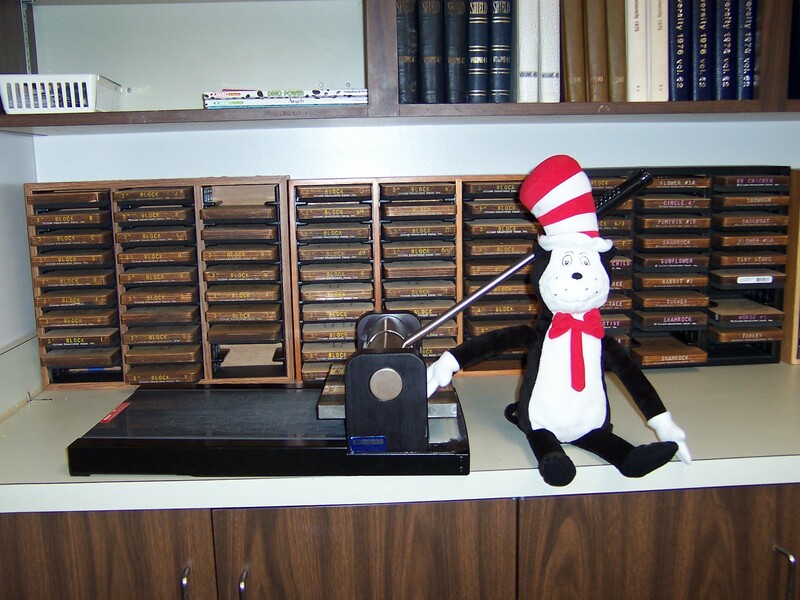 The Curriculum Materials Center has an Ellison Die Cutting Machine and blocks that is available for student and faculty use. If you wish to use the machine, please bring your own paper. A list of the blocks available at the CMC is listed to the left. For more information about how to use the die cutting machines and fun projects with the cut-outs, visit Elison Education. The Curriculum Materials Center has two laminating machines. Heat-Activated Laminating Machine - It can laminate items up to 8 1/2 x 11 inch sheet of paper. Students are allowed to laminate 5 items on this machine for free. The Curriculum Materials Center has a small copier available for student use.